I met Ursula Buchan a few weeks back, after corresponding by email on and off over a year, and we got on like a house on fire, since we are both researching the same subject but from different angles. 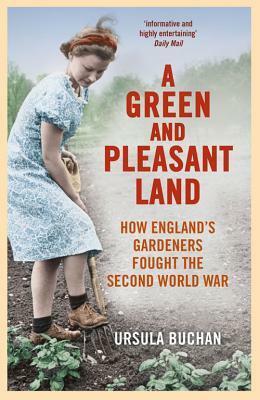 She sent me a copy of her most recent book – A Green and Pleasant Land: How England’s Gardeners Fought the Second World War – and I liked it so much I reviewed it for Vulpes Libris. Gardening history, social history, the history of how Britain managed to learn to feed itself during the Second World War, and how horticulture and the science of food was revolutionised under pressure, how could anyone not be fascinated by that? Highly commended reading.